The Prom is a dance event conducted in schools and it is neither a formal event nor an informal event. It can be considered somewhere midway between the two and termed as semi-formal. The tuxedo is the dress especially for the prom. With appropriate accessories, you can steal the show. The add-ons must complement your date. If you use mismatching extra fittings, it is going to spoil your entire day. Not only will you look awkward as a couple but also stop getting the attention of your own partner. She might start thinking that you are not interested in her. Worst, if you wear accessories that match with some other person's date, it is going to be a total wreck. You not only end up arousing the suspicions of your own lady but also spoiling the other man's mood. For the prom tuxedos of 2016, the color was not just black and there were a variety of colors to choose from. Blue, orange, tan, pink, green, yellow, cream, silver, red, burgundy and so on were some of the multitude of colors that these tuxedos came in. These tuxes could be complimented with a flawlessly harmonizing long tie or bow tie, matching pants, faultlessly blending pair of loafers and a perfectly synthesizing sash worn around the waist. This slim fit tuxedo accentuates the body shape and it was made by Ike Behar. It has a one buttoned front closure which gives a hipper look to the outfit but this is strikingly contrasted by the peak lapel which is known to be the most formal of all the 3 lapels. Thus not too formal or very informal, the suit is the ideal prom apparel. This clothing renders you urbane and charming. This was one of the best choices for prom 2016. This tuxedo gives a sophisticated and traditional look. Nothing can beat the style and grace exuded by it. This tux made by Ike Behar was one of the most popular tuxedos for prom 2016. This is a slim fit tuxedo which flatters your body shape. 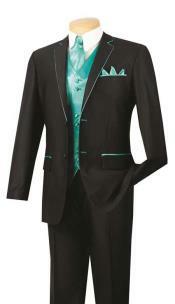 Cut a fine figure in this tuxedo which comes with a dash of style. This super slim fit tux suit is fashioned from super 120's wool and was made by Ike Behar.Naturally restorable woolen fabric renders it durable, resilient and flame resistant. Not only this, you can feel extremely warm in the cold in this woolen tux. This was one of the most appealing prom suits of 2016. Feel dressed up to the nines in this magnificent red "Carmine" tuxedo. It comes with a one button front closure and a classic shawl lapel. Most striking and impressive, it was the most noticeable wear of the prom 2016 season. These were some of the most admired tuxedos of the prom 2016 season. Mensitaly has a charming set of tuxedo collections. If you choose to target tuxedos by style, then Mensitaly has a great many in number. There are one button, two button, 3 button and 4 button tuxedos. You have the double breasted, shawl collar, mandarin collar tuxedos and so on. There are tuxedos in a host of colors - blue, purple, burgundy, red, navy blue, purple and so on. 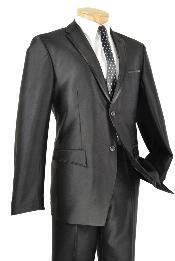 There are branded tuxedos which contain sets from a particular brand. 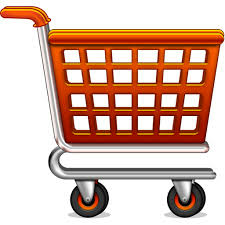 So Mensitaly is one of the best ecommerce websites from where you can purchase tuxedos. Maybe 2016 is over but be ready for 2017 by buying from Mensitaly.